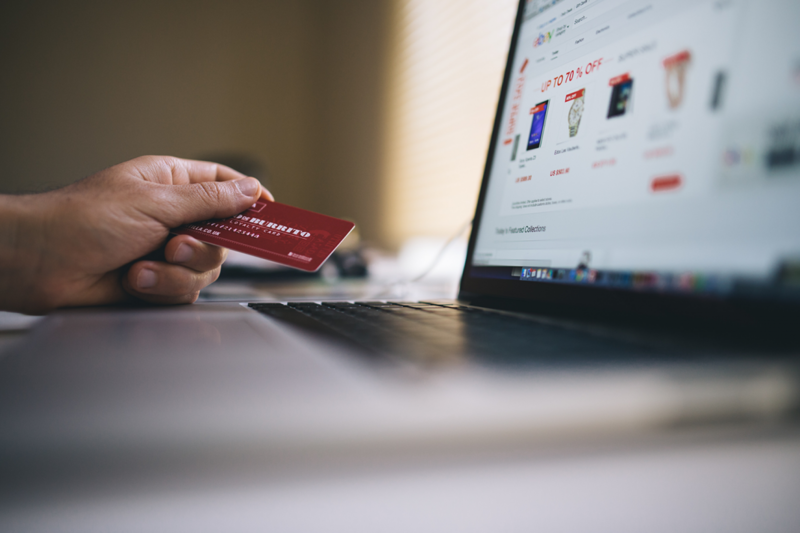 Online shopping is a significant part of the people live. Online stores like ThemeForest ease this way for the people who want to have a beautiful online store. So in this article, we going to introduce Top 10 Bestselling eCommerce Themes on ThemeForest and we hope this top 10 list be useful for you. Electro Electronics Store WooCommerce is a fully responsive eCommerce theme that supports RTL and hamburger menu. Also, Electro Electronics theme is supporting WooCommerce. This WordPress theme is developed by Madras Themes and have 6-month support from this seller. 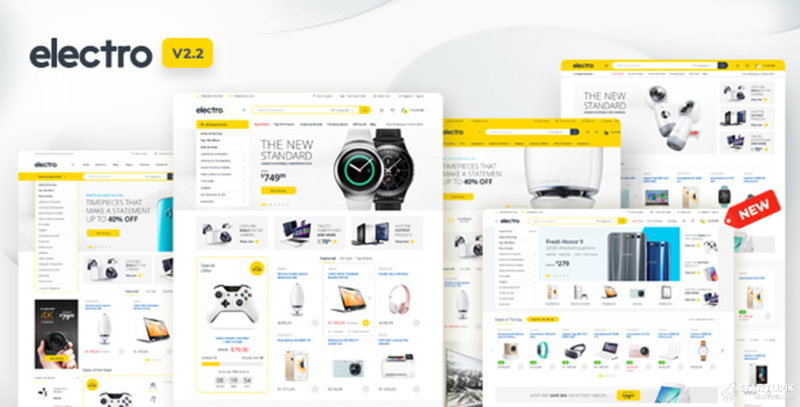 Electro Electronics Store theme is number 10 on the top 10 bestselling eCommerce themes on ThemeForest. If you want to buy a useful eCommerce theme you can go to this product page in ThemeForest and read the features of this theme and see the theme demo. Price for this eCommerce theme is 59$ and you can extend support to 12 months with paying 17.63$ more. Electro Electronics theme has 7,280 sales. Legenda theme is a fully responsive eCommerce theme on this list. This WordPress eCommerce theme is popular in WP society and is number 9 on top 10 bestselling eCommerce themes on ThemeForest. Legenda theme has a one-click installation that is very useful. This theme is compatible with the BBPress forum plugin. Live chat plugin is another feature in this case. 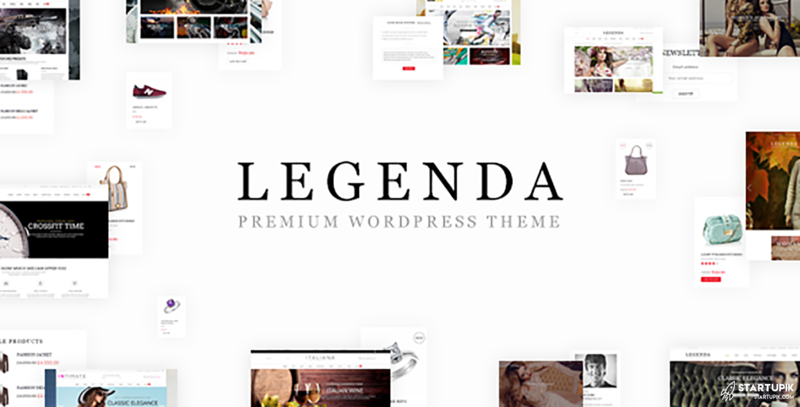 Legenda theme is developed by 8theme and have 6-months support from this seller. Price for this clean, responsive WP eCommerce theme is 59$ and you can extend support to 12 months with paying 17.63$ more. 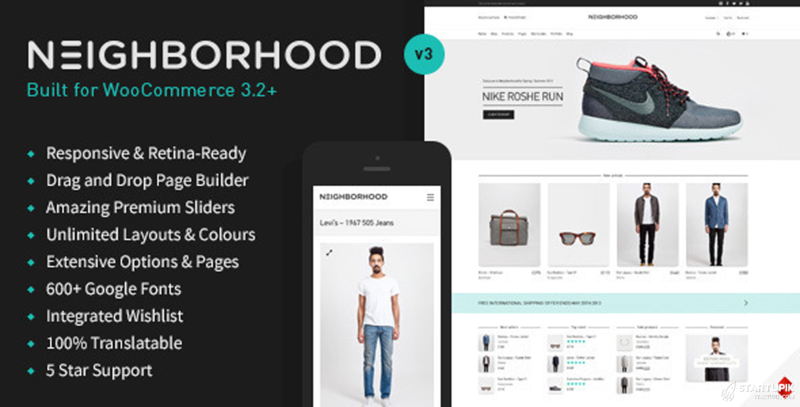 Neighborhood theme is a smart eCommerce theme for WordPress users. This theme is a fully responsive theme. SmartMag is an SEO optimized theme and its perfect for people who want to have good traffic from Google in their sites. Neighborhood theme support bbPress and other features like WPML. You can read full features of this product on the Neighborhood page in ThemeForest. This eCommerce theme is developed by SwiftIdeas and have 6-months support from this seller. Price for this responsive and retina WP eCommerce is 59$ and you can extend support to 12 months with paying 17.63$ more. XStore eCommerce theme has 10,323 sales and this theme is number 7 on the top 10 bestselling eCommerce themes on ThemeForest. 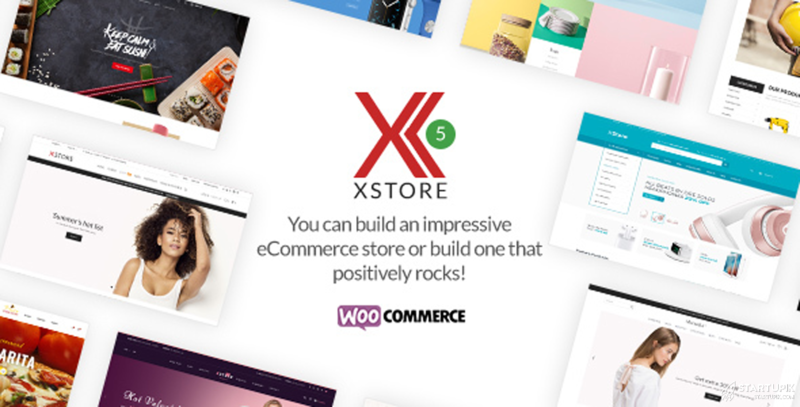 XStore is a responsive multi-purpose WooCommerce WordPress theme. This theme is on the best eCommerce theme lists and is a very popular eCommerce theme. XStore theme support RTL and WooCommerce just like other best eCommerce themes on ThemeForest. This eCommerce theme is developed by 8themes and have 6-months support from this seller. Price for this eCommerce Themes is 59$ and you can extend support to 12 months with paying 17.63$ more. 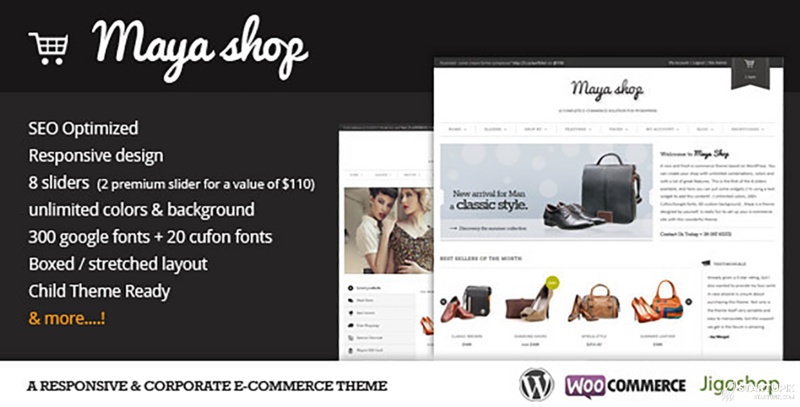 MayaShop is another eCommerce theme on ThemeForest have a good sales. This theme is number 6 on the top 10 bestselling eCommerce themes. MayaShop theme is speed optimized and you can check this on GTmetrix. Both of grades for this theme is A and its perfect for the users who want to see their site on the first page of Google result pages. This eCommerce theme is developed by Sara_p and this seller supports the users who buy this product. Price for this good theme is 64$ and you can extend support to 12 months with paying 19.50$ more. MayaShop has 11,068 sales and this theme is number 6 on top 10 bestselling eCommerce themes on ThemeForest. Number 5 on the top 10 of bestselling eCommerce theme list is Bazar Shop theme. This theme is very handy and simple to use. Maybe these features make this product very popular. 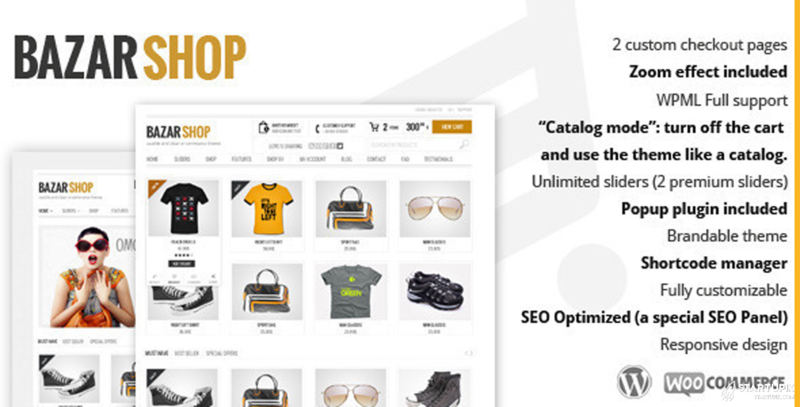 Like the other best themes on this list, BazarShop is an optimized theme for SEO. This theme is designed for Google AdSense so if you looking for a theme that designed for this advertising banners you can buy BazarShop. Bazar Shop is developed by Sara_p and you get support from this seller. Price for this eCommerce theme is 64$ and you can extend support to 12 months with paying 19.50$ more. Bazarshop eCommerce theme has 11,641 sales and this theme is number 5 on the top 10 bestselling eCommerce themes on ThemeForest. 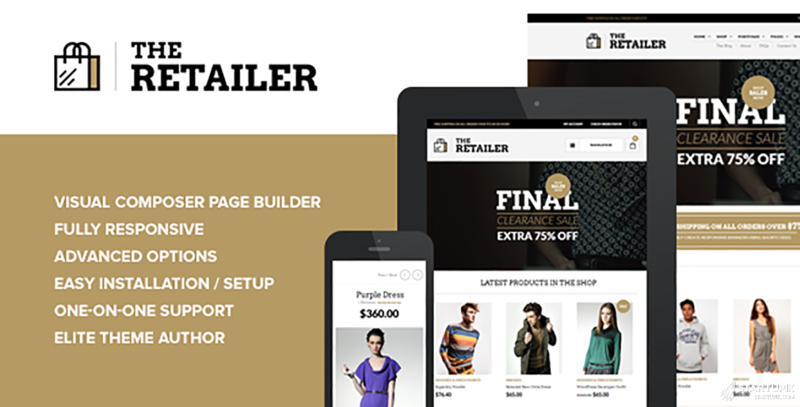 The Retailer is a premium WooCommerce theme. Fully responsive design for all of the devices makes this theme a number of the bestselling theme on this list. Retailer theme is an eCommerce theme for who want to have a professional theme. This theme has free trial and guide. This handy theme is developed by Getbowtied and get support from this seller. SimpleMag eCommerce theme has 14,445 sales and this theme is number 4 on the top 10 bestselling eCommerce themes on ThemeForest. Porto theme is extremely well optimized for speed performance. This eCommerce theme is number 3 on the top 10 of bestselling themes on ThemeForest. With this theme, you can put your site on the Google first page. Porto is an eCommerce theme developed by p-themes and users gets 6 months support from this team. Porto eCommerce theme has 22,034 sales and this theme is number 3 on the top 10 bestselling eCommerce themes on ThemeForest. Shopkeeper is a popular name in this list. Fully responsive WordPress eCommerce theme and number 2 in this list. ShoPkeeper theme support vaiery of languages and has a lot of demo pages for use. Shopkeeper is a fully responsive theme that developed by TieLabs and users gets 6 months support from this team. Price for this eCommerce theme is 69$ and you can extend support to 12 months with paying 21.38$ more. Shopkeeper eCommerce theme has 24,691 sales and this theme is number 2 on the top 10 bestselling eCommerce themes on ThemeForest. 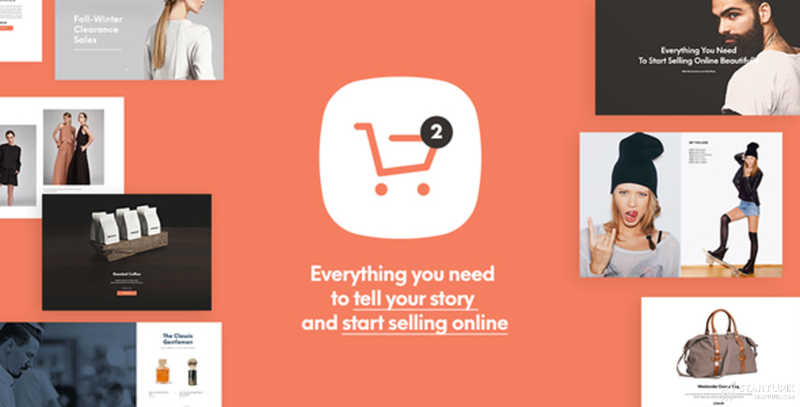 Finally number 1 on the top 10 of bestselling eCommerce themes is Flatsome. This beautiful theme is a fully responsive theme and has a lot of features. Flatsome theme support WPML and WooCommerce like other best themes on this list. You can read full features of this number one theme on the product page in ThemeForest site. Flatsome theme is developed by UX-themes and users gets 6 months support from this team. 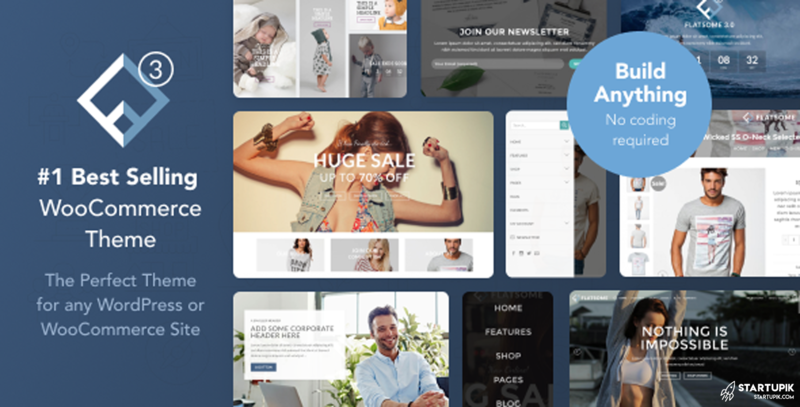 Flatsome eCommerce theme has 83,659 sales and this theme is number 1 on the top 10 bestselling eCommerce themes on ThemeForest. We hope this article helps you in choosing an eCommerce theme for your site. If you have a experience by using these themes can leave a comment down below to help other people. I use Porto and I really love this theme.